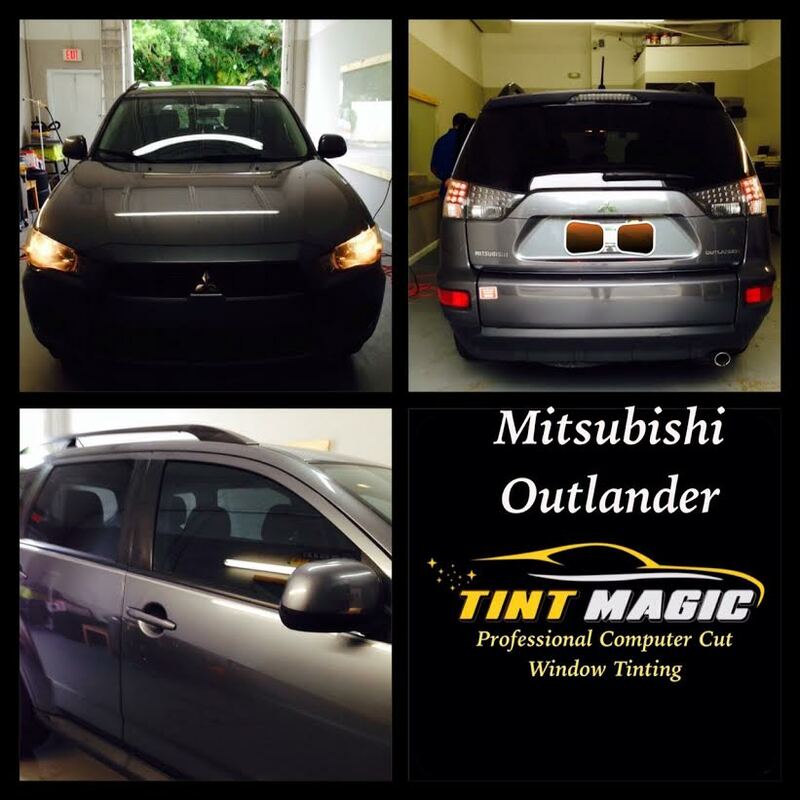 Mitsubishi Outlander at Tint Magic Window Tinting Coral Springs, we have applied Gold Package 35% on two front windows to match the color of rear windows, now it looks even and have the BEST PROTECTION against Solar Energy!!! Call us for a free estimate! 954-840-7883. Tint Magic Window Tinting serving Coral Springs, Tamarac, Coconut Creek, Sunrise, Weston and Margate. Introduced early in the 21st century, the Mitsubishi Outlander is a compact crossover SUV. Although the first-generation Outlander was truly compact, later versions fall somewhere between compact and midsize in their dimensions and offer an optional third-row seat. It’s certainly not the roomiest third row, but it’s nonetheless a rare feature in a smaller crossover. Other than its ability to seat seven, the Outlander’s main strengths are its generous warranty coverage, distinctive styling and healthy list of available safety features and in-cabin technology. Depending on the model year, it’s also one of the few compact crossovers that offers a V6 engine, though four-cylinder power is standard. The Mitsubishi Outlander is generally an agreeable vehicle on the highway, but consumers who test-drive the competition will find that its rivals are generally more comfortable and refined. If off-pavement driving is a priority, the Outlander’s all-wheel-drive system offers selectable modes that provide a bit more capability on dirt roads and in deep snow.